A Boeing 737 aircraft slid off a California runway after heavy rainfall Thursday, crashing into a protective barrier that stopped the plane from further leaving the runway. Southwest Airlines flight 278 slid off the runway at Hollywood Burbank Airport, according to the Federal Aviation Administration, CNN reported. The plane skidded across the slick runway before hitting a barrier surrounding the runway’s exterior designed to stop planes from exiting the runway completely. None of the flight crew nor the passengers sustained any injuries, FAA spokesman Ian Gregor said, according to CNN. 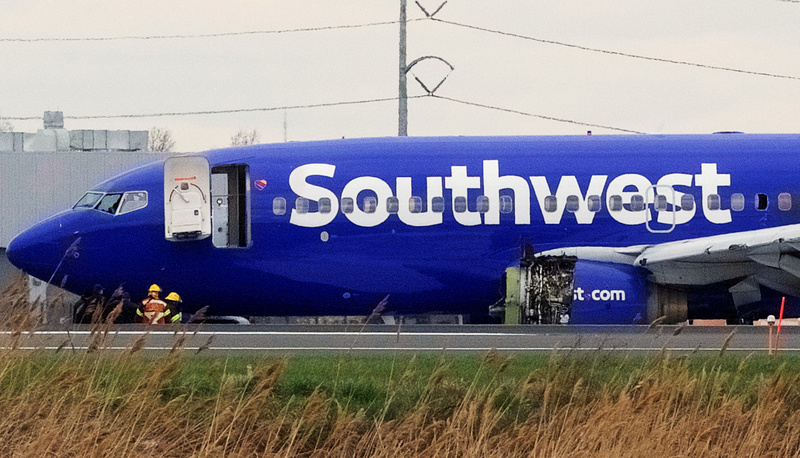 Five crew members and 112 passengers were on the plane when it slid off the runway, according to Southwest spokeswoman Brandy King, CNN reported. A flood advisory was issued for Los Angeles County where the airport is located, according to CNN. The country received 1.66 inches of rain in six hours, CNN reported. We are alive. The plane was a few feet from plowing thru the barrier and taking out numerous cars. Crazy stuff. The airline will refund the cost of all the passengers’ roundtrip tickets, according to its statement.